Here's another scholarship from Technical Education and Skills Development Authority (TESDA). 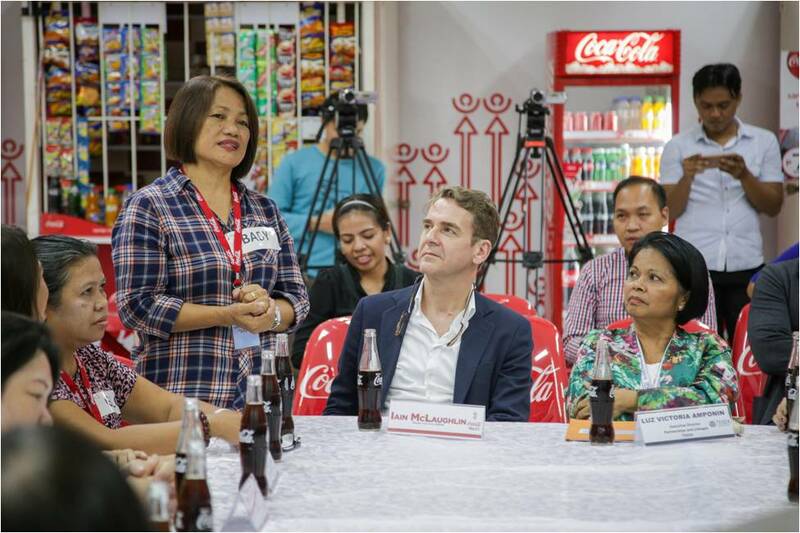 But this time, for 40,000 women who owns sari-sari stores and carinderias. 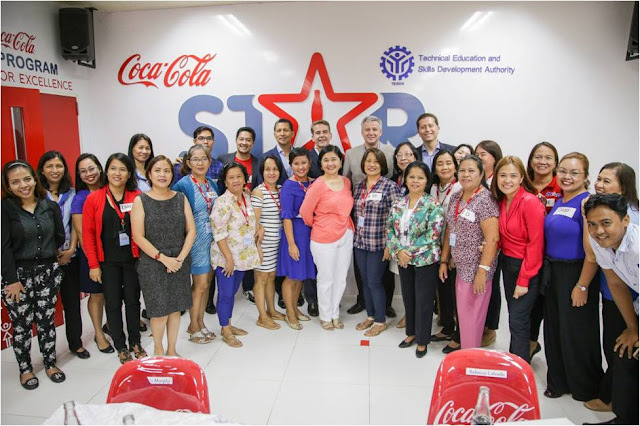 The scholarship will be given in partnership with Coca-Cola Philippines under Sari-Sari Store Training and Access to Resources (STAR) program. According to TESDA, the objective of the program is to the uplift livelihood of women through micro-retail business. Who is the target of scholarship? The star program recognizes the significant role of women and the Cola-Cola company made a commitment to empowering 5 million women by 2020. Filipino women, especially full-time homemakers with small children, often choose to put up sari-sari stores and carinderias to augment their household income as these small businesses are often home-based and can be managed on top of doing the chores and tending the kids. 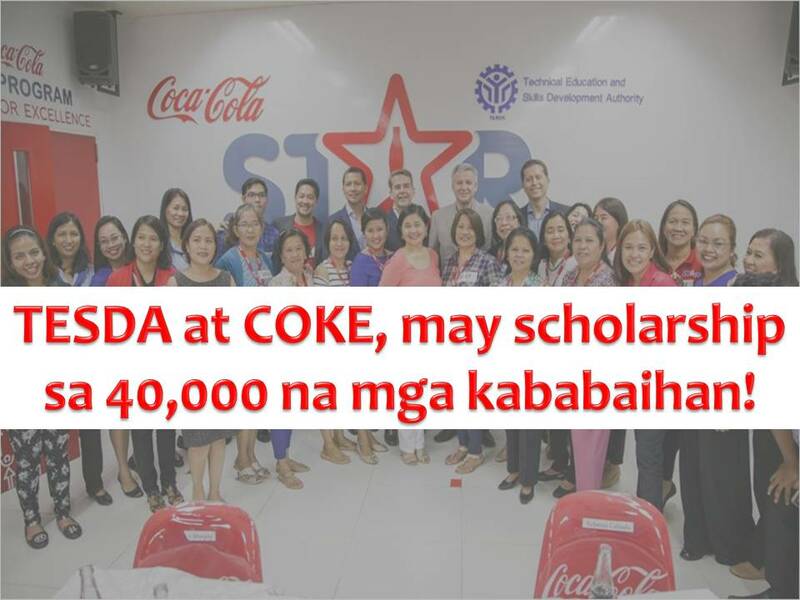 If you are interested in the program, contact your provincial or regional TESDA Office. 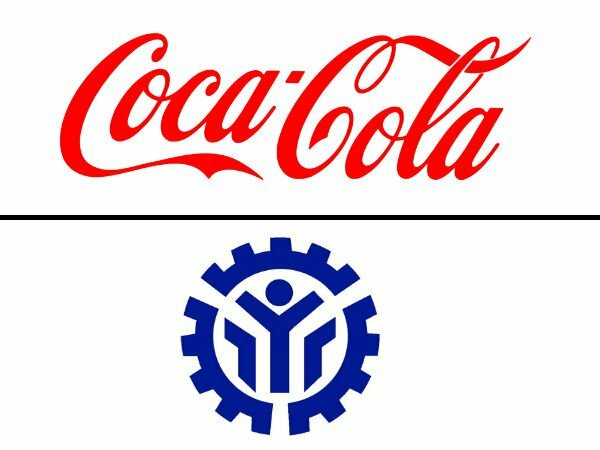 Click this link for complete address and contact number of TESDA offices nationwide. 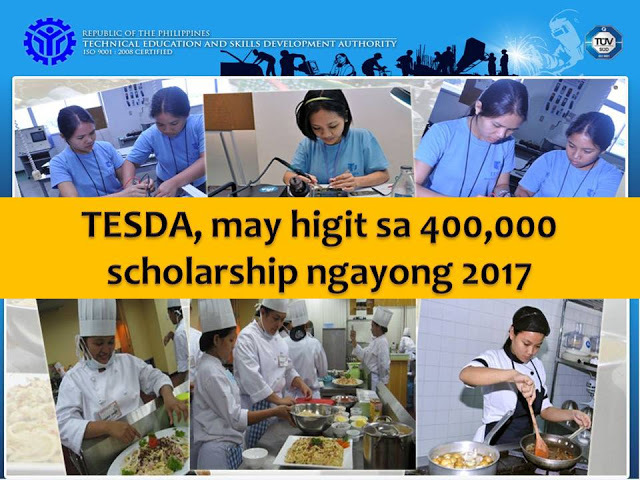 With President Rodrigo Duterte's goal to provide skills training to all Filipinos, the Technical Education and Skills Development Authority (TESDA) has more than 300,000 scholarships to give nationwide this 2017.In Luzon, TESDA eyes 100,000 scholars from National Capital Region (NCR) and Calabarzon (Cavite, Laguna, Batangas, Rizal, Quezon) this year. 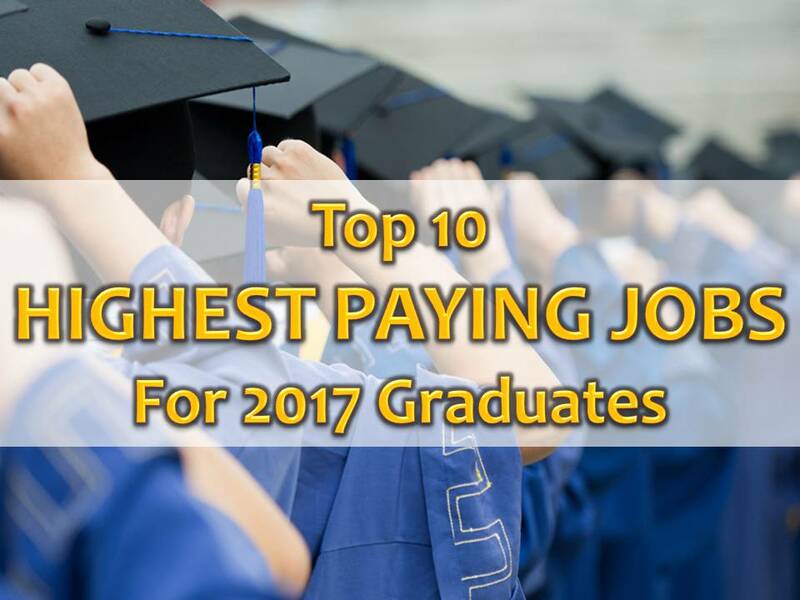 A job with a good salary is hard to find especially for fresh graduates in the Philippines. Plus if your field of study or course is not related to the available job but you need to earn, you end up underemployed.That is why for college freshmen, it is important to choose a course that is in demand or will be in-demand few years later so that when you graduate, you will have a big chance to be employed based on what you learned. 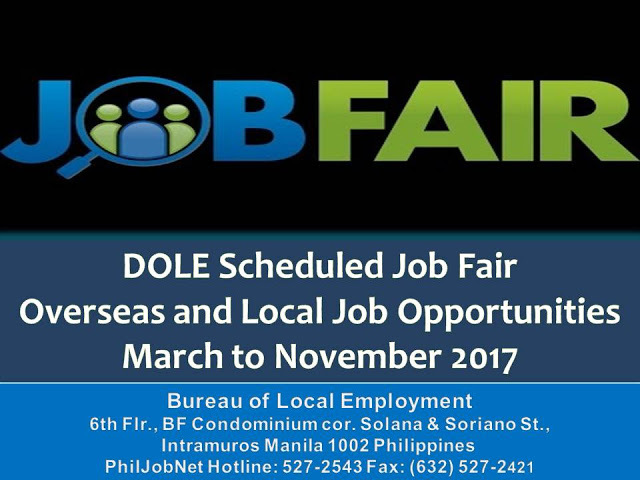 Here is the schedule of job fair from Department of Labor and Employment (DOLE) to be held in different regions nationwide starting March to November 2017.Job Fair will be opened to those who want to work here in the Philippines and abroad or overseas.